Anthro Doula: My First Giveaway! I am very happy to announce Doula Ambition blog's very first ever giveaway! Hooray for reaching 200 blog posts! I'm moving in a few months, and as I began thinking about packing I realized I have a perfectly good brand new Boppy nursing pillow (still in packaging) that I haven't yet used. I realized that rather than packing it up and moving it, I should give it to someone who can get some great use out of it! The Boppy is a infant support pillow for use when breastfeeding, bottle-feeding, or for baby to lounge on. 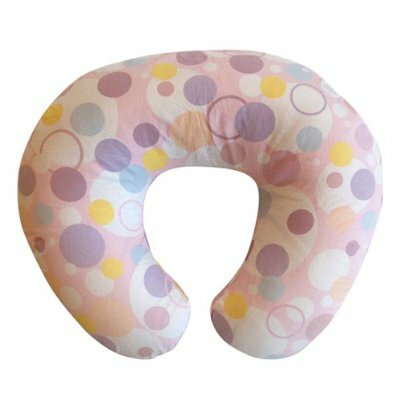 This Boppy would be great for personal use, to give a new mom as a baby shower gift, or even as a doula to help moms learn to breastfeed in a more comfortable position. The first time I ever heard of a Boppy was at a baby shower. When the pregnant mama opened the wrapped Boppy pillow, she was so excited because she had heard they were the best. Its true that the Boppy has won the America's #1 baby product Award six times. EACH OF THESE count as one entry. Make sure you leave a separate comment for every single entry opportunity. Remember to leave your email address in the comment or make sure it is available through your profile. You must be or become a follower of my blog, either through Google Friend connect (in the sidebar) or another RSS feed, and leave a comment letting me know. Follow me on twitter @AnthroDoula and tweet about this giveaway. Become a fan of ("like") my brand new Anthro Doula Ambitions Facebook page! Post a link to this giveaway on your facebook page or personal blog. Copy and paste a link to that in a comment here in my blog's comment's section. If you've used the Boppy before, tell me what you thought of it! Recommend a post topic for me to write about. Entries will be closed on May 30th, at midnight - the EDD of my next doula client! I love how the boppy felt against my stomach after my cesarean. Seemed to support it so I could laugh without feeling a lot of pain. I just found your blog and I would like to enter! I just became a fan of you on Facebook and I follow through google. I love the boppy. I have a four month old baby girl named Gracie and I strictly breast feed her. The boppy is so comfortable to use and it's also very convenient when nursing with people around. It holds the baby up higher so you don't have to cover up as much. 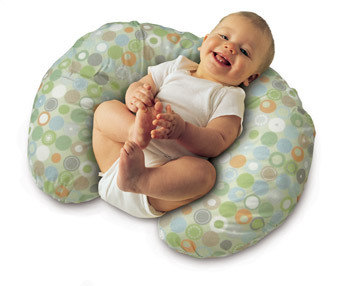 The boppy pillow also promotes sitting up in Babies. Grace likes to sit in between the boppy pillow to help her sit up. Ours got lost in our move but, I am a big fan. A topic that could be good to talk about is the strength women have. I feel like women don't go naturally during labor because of fear and because society tends to make women feel like they are not strong and should fear childbirth when, in reality, we are made to deliver babies. I love the boppy, as a former nanny I used it alot to support children when they were still learning to sit as well as for bottle feeding. As a postpartum Doula and an aspiring child birth educator I would love to own one to show my clients how helpful they are for breastfeeding. I really want a new boppy! I love them. I'd use the Bobby with my baby. I'd like to read a post about how you think medical anthropologists can contribute ideas to help modern families maintain a better balance between work and family. Google Friend Connect ! and I would love to give the boppy pillow to one of my clients having a baby girl this month. I'd love to win this boppy because we are trying to start a family. Hopefully, in about 9 months or so, we'll have one. I LOVED my Boppy. I used it almost 24/7. My baby nursed constantly the first 3 months so I lived in my rocking chair. After my cesarean it was god-sent. I didn't have to wrestle with my baby to get comfortable. Baby girl love to fall asleep on it against my belly. Also used it to help her learn to sit up on her own. So needless to say my Boppy is well loved and thoroughly used. I could defiantly use a new one for the next one! Happy SITS Monday! I remember the boppy well. When my twins were babies, it was a wonderful lifesaver... such a simple but fantastic item. The lucky winner will cherish it like I did mine. Anyway, I stopped by to say hello and wish you well. Beautiful blog you have with a terrific color scheme. I'm a FB fan now!